An idea to promote awareness, education, and lucrative branding using the inside of vending boxes targeted at Mexico's women, children, and young adults working on the streets. Mexico has thousands of informal street vendors who sell easily distributable products such as candy and snacks that come in carrying boxes. These carrying boxes prominently display the brand on the outside, but do not currently utilize the inside area of the box. This inside area could become a space for content that promotes awareness, education, and targeting branding. 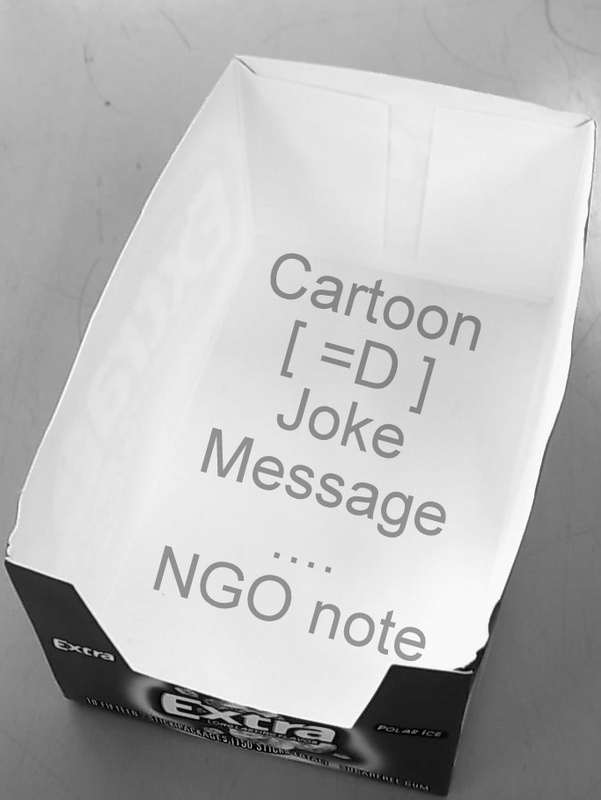 Using cartoons, pictures, jokes, games, quotes, and messages, the area inside the carrying boxes could become a targeted means to improve the livelihood of the Mexican street vendors. Proper content could make a company the brand that cares. Street Vendors - Seek a means to make a living. Desire entertainment, encouragement, and reward. Vending Companies - Gair vendor loyalty by product differentiation. Build private, public, and government alliances. Potentially sell space for ads. Mexican Government, Non-profits, and NGOs - Raise awareness about programs, services, and beneficial practices. Other Businesses - Desire advertising of products to buy, products to sell, and job opportunities. Cartoonists, Artists, and Comedians - Desire job opportunities. The testing of this business idea could be an international development project. The following presentation highlights variations on this business model and possible routes of testing.